Mary has a secret she has to keep from her family. On top of that she has fallen in Love with an Englischer. When her family discovers her secrets, she runs away and by doing so almost gets herself killed. 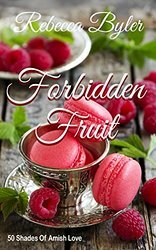 Will Mary be able to follow her dreams and desires of her heart or will she choose be forced to turn her back to everything she loves to obey the rules? 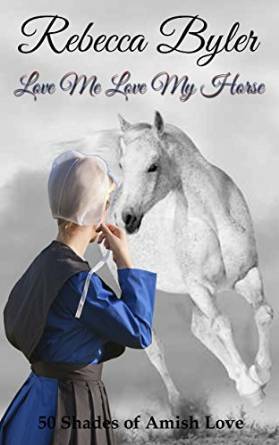 Gorgeous horse crazy Rebecca seems to lead an unwavering Christian life. That is until she meets John Bontrager. Along with his help, Rebecca works to fix a tragic problem on her farm when no one else seems willing to help. But will his attraction towards the worldly ways cause Rebecca to ignore her growing feelings for him? Will his doubts about the church make her question hers, too? Will their love be strong enough to overcome all those obstacles? The time has come for Gabriel's Rumspringa; he leaves his family behind to go to the big city. In the city, he meets Grace, a young waitress. Gabriel and Grace fall in Love, but she is an Englischer, who loves to play the piano. 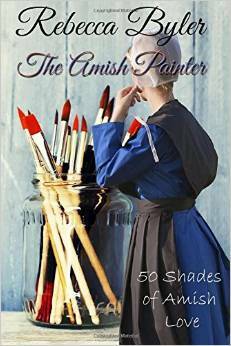 Gabriel wants to marry Grace, but she is not sure she can give up her life in the city to become Amish. 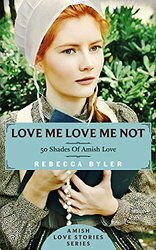 Can Gabriel convince Grace they are meant for each other, or is the stringent life of the Amish, more than Grace can accept? Joyce's Grossmammi Mary has started behaving strangely. To find the cause and possible treatment of her condition, her daughter asks an English doctor, Jonathon Moore to their farm to examine Mary. The handsome young doctor can't keep his eyes off Joyce. Joyce falls in love with him and wants him to stay forever. Will Joyce's wishes come true? 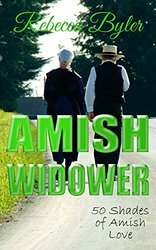 Will Jonathan be willing to give up his worldly job and life, for an uncertain future in the Amish world to be with Joyce? Levi is the spirited young husband of Lyddie. After an arranged marriage, they built a home and began what they thought a long and prosperous life together. But Lyddie dies during childbirth and his dream of a happy family life suddenly slips away. Once widowed he struggles to cope with his loss and being a single dad, feeling incredibly guilty as he realizes that he still loves Abigail, who also loves him. But because of his guilt Abigail rejects their Love...until everything changes when she almost dies in a fire. Will Levi find a new love and family with his childhood best friend, Abigail? 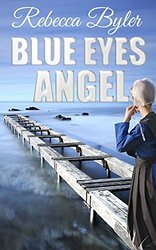 When Roseanna travels to the coast for Rumspringa with her cousins, she falls in Love with a man whose eyes have the same color as the ocean. Will she be able to stay faithful to her God or will she give in to temptation like her cousins? 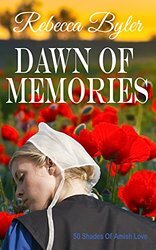 For the sake of her family will Roseanna go back to her Amish life or will she choose to stay with her true love? 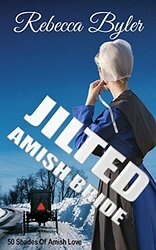 What does a woman do when her husband-to-be leaves the Amish church and community shortly before her wedding? Katura Troyer is heartbroken, embarrassed, and she thinks she might be the reason that her fiancé Gabriel left. She is devastated, but her long-time family friend Noah Miller helps mend her heart and discover that she can't blame herself for Gabriel's abrupt departure. But when Gabriel suddenly returns, her world is in turmoil all over again. Can she forgive Gabriel, or do her feelings for Noah outweigh what she had thought was love? When the men get into a brawl, she shuts them both out, but in time, with prayer and advice from her family and friends, she realizes she must forgive. She must look inward and choose the man that is best for her. The challenges she has faced have given her strength that she didn't know she had. Will she ultimately find happiness with Gabriel or Noah? Lena and Jon were in love and ready to marry. Then one awful night their lives changed forever. Lena lost her memory of being engaged to Jon. Will Lena regain her lost memory? Can Lena recapture the love she once felt for Jon? Jacob Yoder loved his wife Esther with all his heart. The only problem was; he didn't believe her best friend from childhood, Aaron, was not a threat to his marriage. When Jacob suddenly dies in a buggy accident, Esther retreats to her home with her two young daughters to be alone as she felt that was the only way she could survive. Will Aaron win Esther's heart or does she prefer remaining a widow? 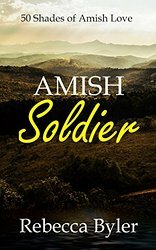 Amish Soldier Elijah meets Nurse Connie in the middle of the jungle during the Vietnam War, where danger is an everyday occurrence. A chance meeting at the clinic bring these two into each other's lives and what follows is a tale of romance and hardship for these star-crossed lovers as they struggle with their personal faiths and inner demons. Elijah knows the dangers of the war, and when he falls in Love with Connie, he realizes he has to do whatever it takes to get her out of the war zone, but Connie has a stubborn resistance to leaving and refuses to budge. Can this unlikely couple work past their differences and find a way to be together, or are they destined to remain worlds apart? Aaron has loved Joanna from the first time he saw her. To him, she was the most beautiful girl in the village. When their marriage had been arranged, Joanna was a wreck. She confided to her friend Esther how uncomfortable she was and afraid she would never be able to love Aaron the way he deserved. Will their marriage be doomed forever? Will Joanna's coldness drive Aaron away or will Aaron manage to win her heart and her love?